An excellent presentation by pastor Keith Gibson, author of “Wandering Stars” which addresses the false teachings of the new apostolic reformation (NAR) which includes false prophets Rick Joyner, Bill Johnson, Mike Bickel and many, many more. In this presentation he address Dominion theology and the NAR movement in detail. He preaches the beautiful, saving Gospel of Jesus Christ too! Please note, the first 7 minutes or so are a tribute to the late Dave Hunt, one of the founders of The Berean Call. You may wish to skip ahead to the presentation. 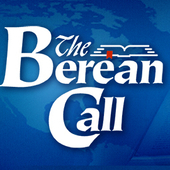 This presentation is part of The Berean Call Conference which is currently streaming live. Already completed presentations will be available until Monday (US time). I highly recommend you check it out!